Our decades of experience in Cold Storage Building Construction have made us the authority on refrigerated warehouse construction. This is why The Kaiser Martin Group is the preferred cold storage construction contractor in Virginia. 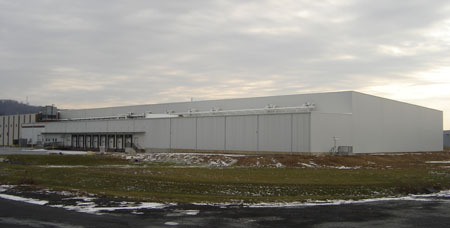 The Kaiser Martin Group is the Premier Contractor for the construction of cold storage warehouse facilities in Virginia. This type of refrigerated construction is unique, specialized, and requires specific knowledge and experience to be performed successfully and efficiently. The Kaiser Martin Group has been building refrigerated warehouses in Virginia for over twenty years and has a large amount of knowledge and experience in this type of cold construction. We also have extensive experience in the construction of food preparation facilities. The Kaiser Martin Group refrigerated warehouses are becoming the gold standard in Virginia's cold storage industry. Our years of experience in cold storage construction has made us an authority on the subject of refrigerated construction. This is why The Kaiser Martin Group is the preferred cold construction contractor in Virginia. The Kaiser Martin Group builds refrigerated warehouse construction with high-quality insulated metal panels in Virginia. 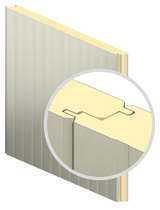 These panels consist of two metal skins filled with 2" up to 6" of urethane insulation. Assembly of this panelized construction system is quick and efficient. We can provide refrigeration systems for supermarkets, convenience stores, restaurants, warehouses, food processing facilities, and manufacturing facilities in Virginia. We can build cold storage space for environments from -20 to +34 degrees.